Model FA138 is AtlasIED's premium 8" coaxial speaker. This 100-watt unit includes a circuit board mounted high-pass/low-pass crossover which produces outstanding sound quality. 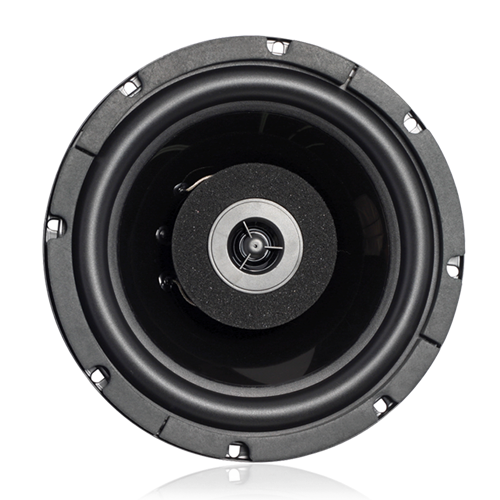 Model FA138 contains a reinforced polypropylene cone woofer, a custom butyl rubber surround, a 1 1/2" vented Kapton voice coil, a 21oz. magnet and a 1/2" mylar-dome ferrofluid tweeter for clean and powerful weather-resistant performance. For optimum acoustic and application versatility the Strategy series has been engineered as a system offering both the FA97-8 Series high performance enclosures (.22ft3) with acoustic batting as well as the economy FA95-6 Series (.17ft3) backbox enclosures. The enclosure front-loads the speaker and installs quickly and easily into the ceiling using only a screwdriver to adjust the rotating clamps. Speakers may also be ceiling or wall mounted into areas with minimum depth by using plaster ring Model FAPR-8 instead of an enclosure. Baffle selection includes a choice of two attractive grilles which are equipped with three serrated studs for hardware-free, push-on installation into Strategy Series enclosures. 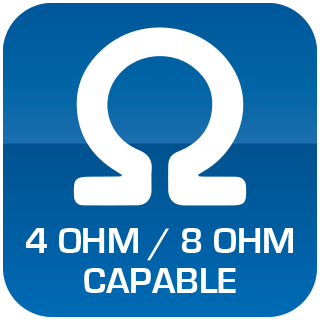 For limited depth installations when no enclosure is required mounting ring model FAPR-8 may be utilized. New construction ring model FA-TR8 is also available to serve as a pattern cut-out and location marker for drywall installers in new construction applications.